artists. Each new work is constructed by one member using sound material and structural concepts from the other members. This time the album was created by Dmytro Fedorenko, transforming pieces from Andrey Kiritchenko, Jeff Surak, and Tobias Åström. Critikal was founded by Andrey Kiritchenko, Jeff Surak, and Jonas Lindgren, who left and was later replaced by Dmytro Fedorenko (Kotra) and Tobias Åström (Militant Fields). The last Critikal festival appearances featured Dmytro Fedorenko and Andrey Kiritchenko with Jeff Surak live via video from his Washington DC studio. Dmytro Fedorenko – track constructions and arrangements, bass, drums programming, synthetics. Andrey Kiritchenko – computer, acoustic guitar, field recordings. 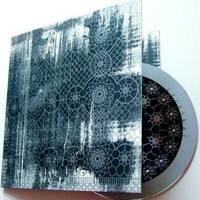 Tobias Astrom – feedback/effects, manipulated recordings of long lost cities/memories. Jeff Surak – autoharp, microcassettes, processing. This is a co-release of Nexsound/Kvitnu/Zeromoon labels.